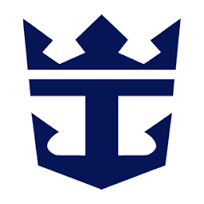 Today, a Director at Royal Caribbean (RCL), Bernt Reitan, sold shares of RCL for $168.2K. Based on Royal Caribbean’s latest earnings report for the quarter ending September 30, the company posted quarterly revenue of $2.8 billion and quarterly net profit of $810 million. In comparison, last year the company earned revenue of $2.57 billion and had a net profit of $753 million. RCL’s market cap is $22.36B and the company has a P/E ratio of 12.73. Currently, Royal Caribbean has an average volume of 1.92M. Based on 5 analyst ratings, the analyst consensus is Strong Buy with an average price target of $142.40, reflecting a 32.8% upside. The insider sentiment on Royal Caribbean has been negative according to 82 insider trades in the past three months. This sentiment is lower than the average sentiment of company insiders in this sector.